Radiation can be a serious concern to health of an operator, patient or people around in a hospital environment where a medical x-ray systems, CT scanners, Fluoroscopy system, Cardiac Cathlab Systems, dental X-ray systems, nuclear gamma camera, linear accelerator or similar ionizing and non-ionizing radiation sources are been used. Radiation Shielding is designed, installed and tested to prevent such radiation from causing physical harm to employees or their surroundings. Preserving both human safety and structural material that may be compromised from radiation exposure are vital concerns, as well as shielding sensitive materials, such as electronic devices and photographic film. The process of regulating the effects and degree of penetration of radioactive rays varies according to the type of radiation involved. Indirectly ionizing radiation, which includes neutrons, gamma rays, and x-rays, is categorized separately from directly ionizing radiation, which involves charged particles. Different materials are better suited for certain types of radiation than others, as determined by the interaction between specific particles and the elemental properties of the shielding material. Radiation shielding is based on the principle of attenuation, a barrier material is used to reduce a wave’s or ray’s effect by blocking or bouncing particles. Charged particles may be attenuated by losing energy to reactions with electrons in the barrier, while x-ray and gamma radiation are attenuated through photo emission, scattering, or pair production. Neutrons can be made less harmful through a combination of elastic and inelastic scattering, and most neutron barriers are constructed with materials that encourage these processes. Gamma andX-ray Shielding:These are forms of electromagnetic radiation that occur with higher energy levels than those displayed by ultraviolet or visible light. Neutron Shielding :Neutrons are particles that have neither a positive nor a negative charge, and thus provide a wide range of energy and mass levels that must be blocked. Alpha and Beta Particles:Alpha particles are positively charged helium nuclei, and are relatively easy to block, while beta particles are negatively charged electrons that are more difficult to shield against. High-density materials like lead are more effective than low-density alternatives for blocking or reducing the intensity of radiation. However, low-density materials can compensate for the disparity with increased thickness, which is as significant as density in shielding applications. Lead is particularly well-suited for lessening the effect of gamma rays and x-rays due to its high atomic number. Materials composed of low atomic number elements are preferable for stopping this type of radiation because they have a higher probability of forming cross-sections that will interact with the neutrons. Lead is quite ineffective for blocking neutron radiation, as neutrons are uncharged and can simply pass through dense materials.. Hydrogen and hydrogen-based materials are well-suited for this task. Compounds with a high concentration of hydrogen atoms, such as water, form efficient neutron barriers in addition to being relatively inexpensive shielding substances. However, low density materials can emit gamma rays when blocking neutrons, meaning that neutron radiation shielding is most effective when it incorporates both high and low atomic number elements. The low-density material can disperse the neutrons through elastic scattering, while the high-density segments block the subsequent gamma rays with inelastic scattering. The simplest method for determining the effectiveness of the shielding material is using the concepts of half-value layers (HVL) and tenth-value layers (TVL). One half-value layer is defined as the amount of shielding material required to reduce the radiation intensity to one-half of the unshielded value. The symbol is known as the linear attenuation coefficient and is obtained from standard tables for various shielding materials. One tenth-value layer is defined as the amount of shielding material required to reduce the radiation intensity to one-tenth of the unshielded value. Both of these concepts are dependent on the energy of the photon radiation and a chart can be constructed to show the HVL and TVL values for photon energies. Lead lined doors for different shielding thickness and sizes are used in the hospitals where the diagnostic imaging facilities like X-ray, CT scanner, Cardiac Cath lab, Fluoroscopy, Mammography, Gamma camera and Dental X-ray systems are installed. The thickness of the shield door varies depending on the modality that is been installed. Frank shields are well versed in manufacturing lead lined doors which are used in the above diagnostic facilities as mentioned above. The lead lined doors comes with various lead thickness and different finishes. 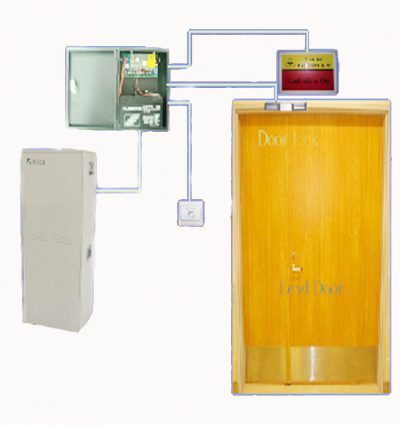 The lead lined doors are mainly classified into the following types for diagnostic purpose. Our innovative doors are well equipped with branded automation which provide smoothest and quietest movement and they will not leave their tracks. Frank shields can work in the coordination with hospital consultant to design the door. This process enables to have lead lined doors to meet the similar finish & dimension of the existing hospital doors. Frank shields supplies wooden and steel window frames with different finishes to match the requirement of the customer. 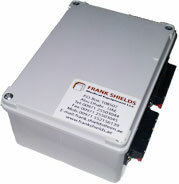 Frank shields are the super stockiest for the Schott, Germany anti radiation glass for the Middle East region. Our anti- radiation glasses are used in the radiation therapy rooms, dental clinics, x ray rooms and operating rooms etc. These glasses are tailored to the specific requirement of the end customer. Schott anti radiation glasses are having low thickness and appears attractive when framed. Our Glasses are more resistant against scratching. SCHOTT Radiation Shielding Glass confirms excellent protection against gamma and X-rays. In the present environment, several hazardous radiations are used in diagnostic, industrial and military applications like, X-ray been used in taking human anatomy images. These radiations are harmful to humans and environment, by using schott glasses we can shield harmful radiation and provides visual information with no compromises. SCHOTT X-ray protection glasses are used in X-ray rooms, operating rooms, radiation stations, dental practices, radiology practices, laboratories, and in material testing – in “glove boxes”, for example. SCHOTT Radiation Shielding Glass can be used in viewing windows, doors, and panoramic glazing. Solutions based on SCHOTT Radiation Shielding Glass are the first choice for architects, planners, and designers in realizing their projects in the areas just mentioned. X-ray shielding for NDT in industrial. How to Disinfect Radiation Shielding Glass from Schott. Procedure to follow the on-site requirements of DIN6812 when installing RD 50®. Overlap is required for Sufficient radiation protection during installation. Schott Window or door installation with radiation shielding glass RD 50®. Safety door interface panel(FS-SIP-01) is designed for interfacing with imaging equipment. The purpose of this panel is to prevent unwanted radiation exposure for the general public, also to make sure no interruption of scanner while a procedure is carried by locking the door.The working principle of the panel is to prevent the scanner or imaging equipment to release radiation. The panel also disables the door from opening when the scanner is emitting radiation. 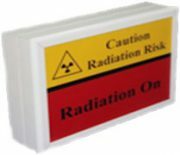 The radiation interlock system can be installed at any existing site. The installation will take only one day to complete, the door lock will be part of the radiation interlock system, the door interlock system can be also connected to BMS and access door system of the hospital.